BV Rec and Buena Vista Baseball Association have partnered to put on the Youth Baseball League! Players will be placed on volunteer-coached teams in the following divisions: 6U T-Ball, 9U Machine Pitch (Minors), and 12U Live Pitch (Majors). The Youth Baseball League will include two preseason events for 9U and 12U age divisions. 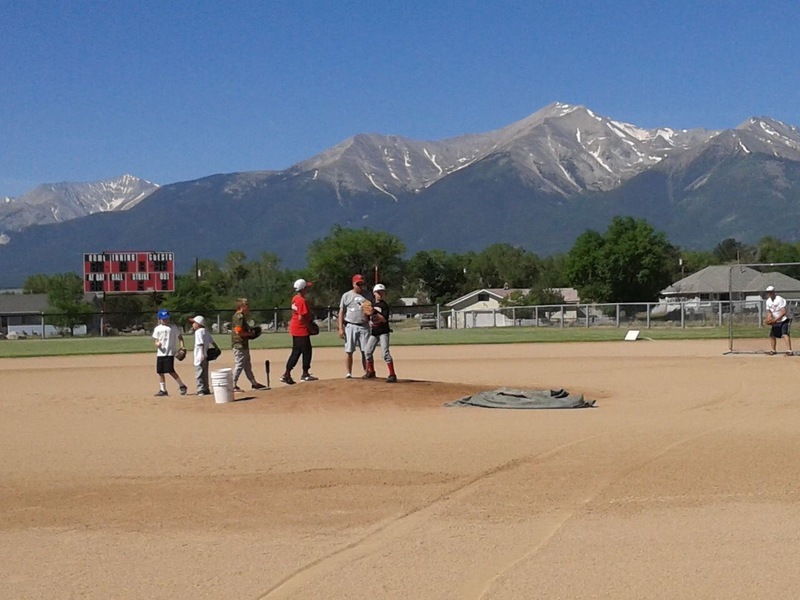 The Buena Vista High School Baseball Camp will be from 5:45-7:15pm on Thursday, April 25. Camp registration forms will be available at the schools and Town Hall. Forms and payment can be returned to Shawna Kinkaid or Greg Perrin at McGinnis Middle School. The Skills Assessment for 9U and 12U will be from 5:45-6:45pm on Friday, April 26. BV Rec and BVBA will evaluate all the players before splitting the team rosters. Registration for the Youth Baseball League includes a team t-shirt and a hat, if needed. All players should have their own glove. Cleats or running shoes are recommended. Metal cleats are not allowed. Please contact BV Rec if any equipment is needed. Volunteer coaches, scoreboard operators, and umpires are needed! Please contact Shane at 719-395-1939 or bvrec@buenavistaco.gov, if interested. Volunteer coaches will receive a discount code for 50% off the registration fee.